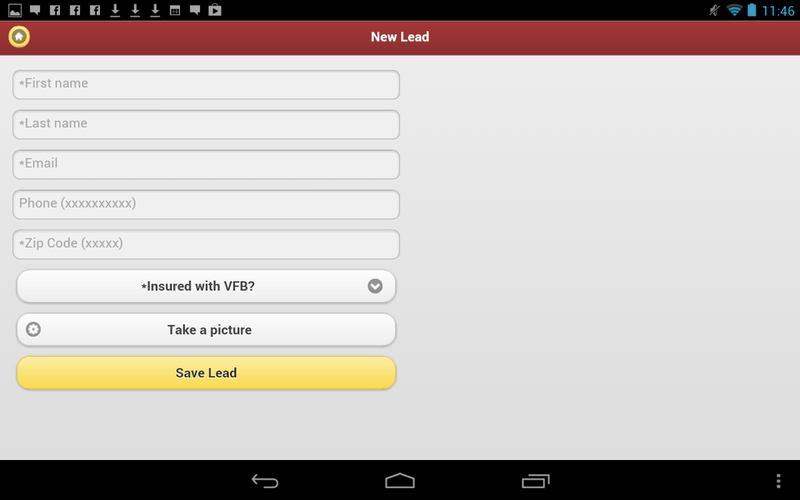 This app was developed for Virginia Farm Bureau (VFB) to collect leads at marketing events like Farm Bureau Live. 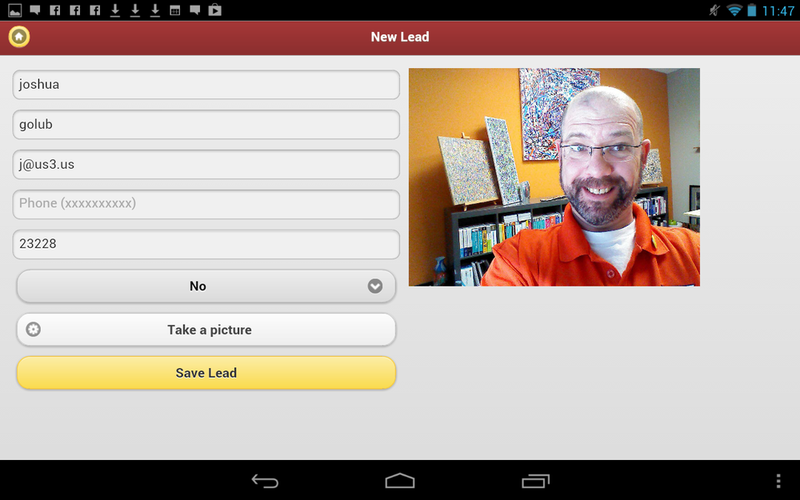 The VFB representative would use the tablet-based application to (A) collect the contact information from a person attending the event and (B) take their photo. The contact information would be stored on a cloud server to be downloaded and processed at a later date. The photo would have the logos for VFB and Farm Bureau Live added to it, after which the photo would be delivered to the person as a memento of the event. This app is for internal use at VFB and is not available in any app stores.